Established in 2015, Studio Machaan is incepted on the concept of providing Luxury Terrace Garden Designs and Customised Outdoor Garden Products / Terrace Products for your Terrace and Open Air Spaces. 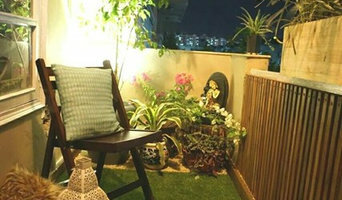 Whether you wish to design an exquisite Terrace Garden or adorn it with aesthetic garden products / features our team of terrace garden designers at Studio Machaan can provide you with specialized solutions in terms of terrace garden designing, execution as well as customised and artistic outdoor products. Greenstar Landscape Private Limited is one of the premier names in providing landscaping services across India. With our several years of experience, we have maintained a long lasting relationship with our clients built on trust to deliver products with utmost quality. We understand the requirements of our clients, carry out an exhaustive research and then start with the real implementation of the plan. Our mission is to enhance the value of property by designing, building and maintaining aesthetic and supreme quality landscaping, surpassing all the expectations of our clients. We consider the mission of our company accomplished when we turn dreams into reality. We assure to serve our customers with integrity, reliability and superior services. Balcony Makeovers is one-stop source for all landscaping and outdoor space design needs, including balconies, terraces and gardens. 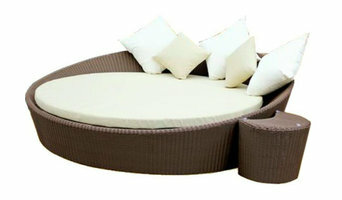 We offer wide range of services to fit any budget; be it a consultation, a professional design or installation services. We provide both online and face to face design consultation, and turn-key service in residential and commercial space. Our installation services are currently available in the Delhi NCR only. We design and consult on projects remotely all over India. The team at Studio Rumera has an established reputation for excellence in design and workmanship as we use the traditional landscape architecture design process regardless of the project stature. This process includes: Initial consultation, Site analysis, Conceptual design, Cost estimation, Design development, Construction documents and Final documentation. Introduced in India with Australian collaboration , Smartroof blurs the boundaries between indoor and outdoors. With flick of a switch or remote, Smartroof opens up the sky for you. Come, open up to a world of possibilities. The world of design has evolved manifold in today’s globalized context. La Vista is a firm that integrates architecture, interior, landscape architecture, master planning, ecological planning, transport planning and allied fields. Our team has experienced professionals from various fields with exposure of prestigious projects. We work enthusiastically on challenging projects by working in diverse contexts and cultures. Operating out of New Delhi, Kolkata and Siliguri, we work on pan-India projects. Our designs are holistic, sensitive to local climate, site constraints, movement patterns and developed in conjunction with inputs of the client. Aspects of environment and ecology, sustainability, energy efficiency and effective allocation of space form integral parts of our work. La Vista is a complete solution provider with an innovative outlook. La Vista is also associated with senior professionals and consultants, whose experience has enriched the team. Abreast with the latest trends of their respective sectors, ours is a multifaceted team whose focus is on balancing environmental sustainability and technological brilliance. Our endeavour is to ensure timely delivery of assignments and meeting deadlines. Our aim is to be synonymous with quality work in all sectors of our specialisations. At Landscape Design Studio, We offer a wide range of professional services to enhance your landscaping needs for your home or business. We have the expertise and knowledge to design, install, and maintain quality landscapes. Part of your landscape needs may include terrace garden, patios, sidewalks, driveways, pool decks, and outdoor living area, outdoor furniture, outdoor shading structures, water bodies, planters and many more unused spaces. We dedicate ourselves to providing an environment that is customized to meet your specific needs and interests. GreenBeans International is your partner in healthy living. It was initiated with the thought to make our society and the country a better place to live in for our current and future generations. After many thoughts, we came to a solution that promoting greenery is the key solution to most of the current environmental problems. And what better way to do it if it could help us in growing fresh organic fruits and vegetables. Hence we put our foot forward into this field of developing and managing green spaces and organic farms in residential and commercial sectors through advanced technology and personalised solutions. We also enhance the beauty and value of our clients property by offering breathtaking and outdoor and indoor living spaces. ABD PROJECTS specializes in high-quality, technically-challenging, large as well as mid-scale commercial and residential Civil and Landscape Projects both Hard & Soft. Founded in August 2009, ABD PROJECTS is one of the fast growing entities in India, with a vision to be a market leader. It has continuously introduced innovative ideas with a promise of Satisfaction, Strength, Speed and Safety. ABD PROJECTS provide a one-stop shop for all areas Civil and Landscaping including design, construction, irrigation, pool, pots, outdoor furniture, gazebos, water bodies and lighting for residential and commercial clients. As each of our clients has different needs, all of our designs and concepts are customized to satisfy each customer in a unique way. No matter what type of service or design you are looking for, we can help by you providing the highest quality of service in the industry, while ensuring you are satisfied with the finished project. A constant infusion of talent and the experience of working on a wide array of projects have caused our team to grow from initial group of autonomous engineers into a team of seasoned and skilled professionals. We have a presence in Farm Houses, Terrace Garden, IT Parks, Office Complexes, Hotels, Shopping Malls, Schools, and Hospitals, Factories, Offices, Production Unites etc. ABD PROJECTS has highly qualified and experienced engineers, designers and technicians; we provide building solutions that successfully meet the highest standards of quality and durability. We are deal with high level of design and detailing in architecture, landscape and interior projects. What does a landscape architect or landscape designer in Delhi do? Landscape architects in Delhi, who typically belong to the Indian association of Landscape Architects (ISOLA), are trained to develop comprehensive structural plans that include plants, hardscaping, water use, drainage and more. They can also design any structure that will be added to the landscape, such as gazebos, retaining walls and other garden features. 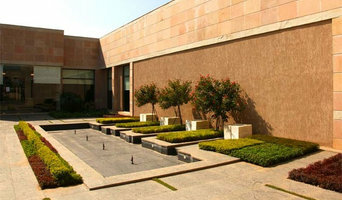 Typically, the expertise of a Delhi landscape architect can apply to understanding your space and natural environment. They work closely with architects and other contractors to develop your landscape or garden in accordance with the other plans. 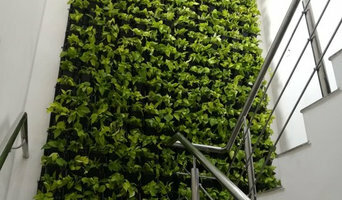 Landscape designers or garden designers in Delhi specialise in aesthetics and horticulture. Keeping in mind both style and functionality, a landscape designer will analyze your architecture and garden to produce a plan that may or may not include location and materials for walkways, patios, water features, garden aspects and more. In addition, he will carefully assess your geographic region to choose plants, trees, and flowers that will flourish naturally, as well as address concerns such as drainage, screening and soil conditions. Certain landscape architects and designers in Delhi only help with the planning portion, while some may deliver the plans and then oversee a hired landscape contractor. Others follow a design-build approach — take care of both the design and all aspects of the landscape architecture and construction. Why should I hire a landscape contractor in Delhi? Don’t have a green thumb to main the lush and lovely grounds that will be the envy of all your neighbours. 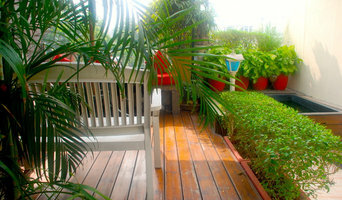 Hire a gardener or landscape contractor in Delhi to create and maintain your garden. Landscape firms in Delhi will be able to bring your outside space to life with flowers, plants, trees, shrubbery, lawns and all sorts of verdant, floral features. Landscaping companies in this category execute gardens that have been drawn up by a landscape designer or architect, while some can also provide design services of their own. Gardeners in Delhi, on the other hand, will deal only with lawns, plants, trees and flowers. With a thorough understanding of horticulture and will be able to choose plants, garden edging and materials that will complement your home and thrive in the climate. A good Delhi gardener will take care of weeds and pests, and perform other tasks such as pruning to keep your garden looking its best. Find landscape firms on Houzz. Narrow your search in the Find Pros section of the website to landscape contractors & architects. You may also look through photos of landscapes to find one you like, then contact the landscaping company in Delhi who worked on it.